The long-standing host of Nine’s breakfast television show, Karl Stefanovic, is set to leave the program. Nine said an announcement about the new line-up and format of the program will be made in coming weeks. Stefanovic has fronted the program for 14 years, but has been under increased scrutiny in recent months. Last year, Stefanovic and his co-host at the time Lisa Wilkinson, hit headlines when press leaks indicated he earned significantly more than his co-star. Wilkinson then announced she was leaving Nine after contract negotiations broke down. Within an hour of announcing her departure from Nine, it was revealed Wilkinson was joining Ten to front The Sunday Project and assist with its publishing play. There have since been reports of off-air tensions between Stefanovic and his new Today Show co-host, Georgie Gardner, with further fuel added to the fire when Stefanovic and his brother Peter – also a Nine employee at the time – were reported to have been venting about Nine management and Gardner in an Uber. Yesterday it was announced Peter Stefanovic, who fronts Weekend Today and has been with Nine for 15 years, would be leaving the network “to explore new opportunities“. Gardner’s first outing as Today host alongside Karl Stefanovic garnered 256,000 metro viewers, which was almost 50,000 less than the 301,000 who tuned in the day after Wilkinson’s shock departure was announced. Yesterday’s episode of the Today show had 195,000 metro viewers. Rival Sunrise on Seven had 266,000. Stefanovic again became headline fodder when his long-term marriage broke down and his new relationship was revealed. There has been much press speculation about how long he can remain at the helm of Today with so much negative publicity surrounding his personal life. In the announcement today, Stefanovic acknowledged the negativity surrounding him in recent months. “Thanks to our viewers mostly, you are what matters most. It’s been a tough time. Thanks for hanging in there. I look forward to seeing you in another capacity as this great network soon,” he said. That other capacity is Stefanovic’s other program This Time Next Year, which re-commences filming in February. In 2017, This Time Next Year premiered in Nine with 1.282m metro viewers, however later episodes dipped well below the million mark. Darren Wick, director of news and current affairs at Nine, implied the decision was mutual between the network and the talent. “Nine and Karl Stefanovic have agreed it is time for him to step off the Today Show,” he said. “Karl remains on contract with the network and will continue to host This Time Next Year, which records in February. 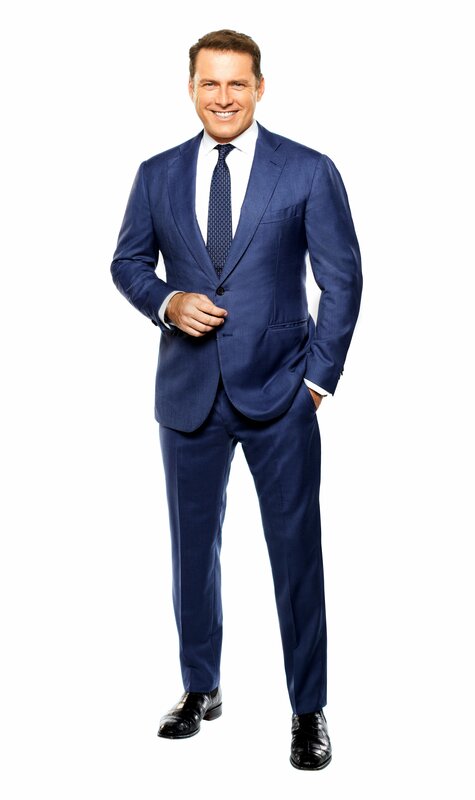 “For over 14 years, Karl has been at the centre of the Today Show, bringing his unique personality and perspective to the day’s news and current affairs. Two weeks ago, the EP of Today and Nine’s director of morning television, Mark Calvert, stepped down, saying his future may be with Nine, or it could be elsewhere. The EP of A Current Affair, Steven Burling, has since stepped into the role. The Stefanovic story: Where are Uber and New Idea's PR crises? Please tell me this doesn’t mean we are up for another 4 weeks of saturation coverage of the guy and eveyone connected to him? Good. damn. riddance! The Today Show is pathetic, the fact that he thinks it’s the best just proves how bad it is. Let’s be realistic, Karl is totally over-rated & certainly not worth his reported $2-3m p.a. School boy larikinisn & continually laughing at your own jokes only goes so far. Quite frankly the public is over him & fresh talent is badly needed. The overpaid, grinning Cheshire Cat has had his day in the sun. His arrogance, pomposity & poor ratings finally caught up with him…. This is actually a really sad day as the key reason this has happened is due to the media’s obsession with Karl’s private life. In what other role would a divorce (which should be a very private and personal thing) become daily fodder for magazines and in the end one of the key factors in this result. I’m not sure anyone in a regular job would tolerate this situation so why should it be any different just because you’re in the public eye? Congrats Karl, not many of us can say we’ve held the same job for 14 years and done so pretty successfully. Hopefully you will only be judged by your performance in the future. It’s called being a celebrity. Don’t want the attention? Then get off TV. Why do we concern ourselves with the vicissitudes of overpaid, suited and dandied talking heads? The greed associated with otherwise mediocre and generally meaningless fillers, conceived to support advertising space, is at best embarrassing, and at worst sickening. Let him go where he will, and let him have his hair blow dried, and his face powdered by some other low paid backroom worker. Anyone with a modicum of intelligence and the ability to read and write, could do the job for a set rate of reasonable remuneration. The concept of commercial celebrity is a problem wherever it festers, but at such a lowly rung of the ladder, it’s nothing more than a very expensive joke. Let’s just hope there’s lotsa money in shoes for Jasmine to keep Karl in the matter to which he has become accustomed. This must have major flow affects to the News.com.au office and probably that of New Idea. why everyone cares about this guy so much. While lesser minds might have a bee in their bonnet about the young new wife, the absolute killer for Karl was his crapping on the nine year old school girl, Harper Nielsen, who made a protest about the National anthem being unrepresentative of Indigenous issues. What was he thinking ??? It might be noted that it takes two to get the ratings on this Breakfast show. Not sure why the rather bland Georgie is not include in this Bonfire of the Vanities. Her role is very underperformed and dull. Made his work concrete mixing. They both have the one job to do for huge money – get ratings. Fail big time by both. Not just Karl. I am so glad he has gone. I stopped watching channel 9 because i could not stand his stupid childish ways. He brought the show down heaps. New blood is good. Channel 9 lost the best one lisa wilkinson. Time for a change. I too got sick of his Childlike performances. I stopped watching 9 over a year ago to watch 7 and the ABC. Bring back Lisa along side Georgie these two mature professional women would bring new life back to the Show.